I had the pleasure of watching the movie Mighty Fine before it is released in select theaters May 25, 2012. The actors in the movie are Andie MacDowell, Chazz Palminteri, Jodelle Ferland and Rainey Qualley. When I first read the description of the movie I was not all that interested but I know from experience that a small paragraph doesn't sum up an entire movie. I was so anxious for the movie to start that I sat at my computer staring at the screen. Once it started I was so tuned into that I wasn't paying much attention to the chat I could engage in with other Mom Central movie watchers. The movie takes place in the 70's. The Fine family make the move from Brooklyn to New Orleans in search of a better life. I was taken back a little bit by the character of the father, Joe Fine, played by Chazz Palminteri is a man that wants to spoil his family but I believe it is out of guilt because of his anger issues and depression. The mother, Stella Fine, played by Andie MacDowell is a Holocaust survivor and is in denial about her husband's issues. One of the daughters, Maddie, played by Rainey Qualley is a 16 year old that is coming into her own and starts to stand up to her father. The other daughter, Natalie, played by Jodelle Ferland is wanting to be a known poet and is easily forgiving of her father. I believe she just wants the family to live happily ever after. 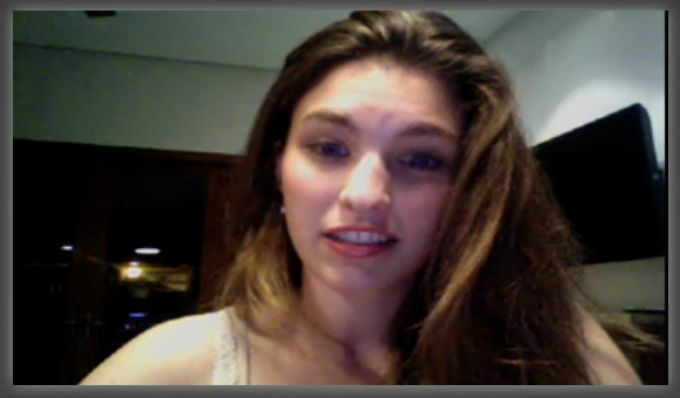 We were fortunate to have the chance to do a live webcam chat after screening the movie. First to chat with all of us was Rainey Qualley, she shared with us her experience filming this movie, which is also her first time in a movie. I would have never known because honestly she did a terrific job. I also did not realize that Andie MacDowell was her real life mother, she did say she expected her mom to be all mom like but that she was not. She enjoyed being in this movie very much. 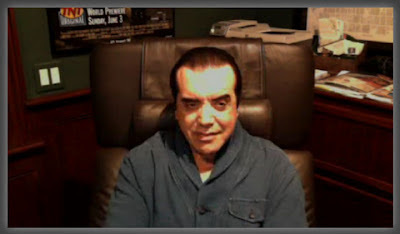 Right after finishing our chat with Rainey, Chazz Palminteri joined us. He said something about this new technology, I had a hard time hearing him. He answered the questions we asked and was very pleasant, you could tell he was not use to webcam chats since he was not looking at the camera, but it was still exciting to see him. Once the movie ended I found myself wanting to watch more, you know it's a good movie when you want to watch more. I was impressed with the cast and their acting skills, in my opinion they did a fabulous job making these characters believable. The movie is based on the life of the writer Debbie Goodstein and her experiences growing up. The movie carries such an important message about anger, depression and emotional abuse. It is a must see movie! Again, Mighty Fine comes out May 25, 2012 in select theaters. I participated in a campaign on behalf of Mom Central Consulting for Mighty Fine and the distributor. I received access to an online showing of the film and a promotional item to thank me for participating.